On August 28, 1963, more than 200,000 blacks and whites from all over the United States gathered for a gigantic civil-rights demonstration in the nation’s capital. It was the largest demonstration in the history of Washington, D.C. Young and old, black and white, Jew and Gentile marched shoulder to shoulder from the Washington Monument to the Lincoln Memorial. The purpose was to demand passage of a civil-rights bill and immediate implementation of the basic guarantees of the Declaration of Independence and the Thirteenth, Fourteenth, and Fifteenth Amendments to the Constitution. 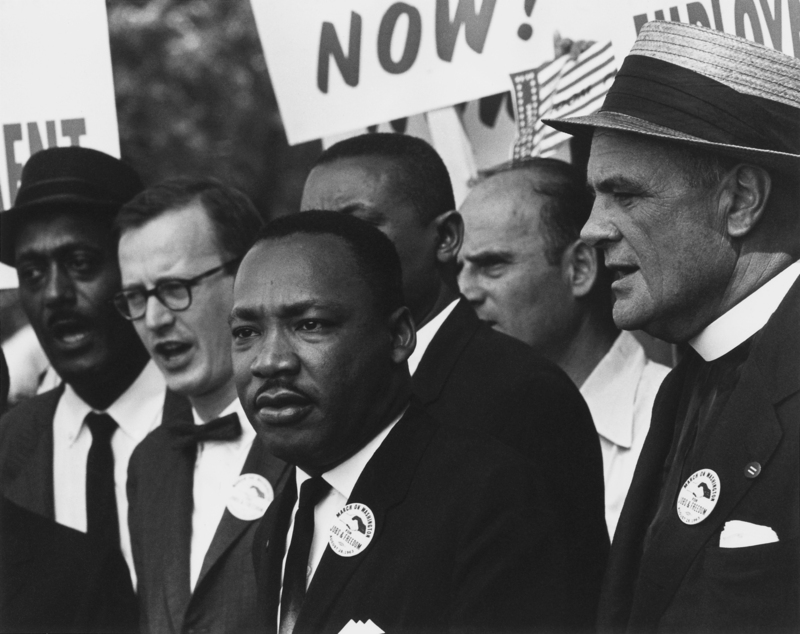 Regarded by many as the apex of the nonviolent civil-rights movement, the march brought together all of the major civil-rights organizations and many religious groups. Among the strong supporters of the march were the American Jewish Congress, the National Conference of Catholics for Interracial Justice, and the National Council of Churches. Never before had leading representatives of the Catholic, Protestant, and Jewish faiths identified so visibly with black demands. It also marked the first large-scale participation of whites in the civil-rights movement, and the first determined efforts by the white clergy.